Click here for our Prayer Schedule for Weekdays and Shabbos. 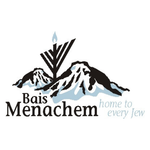 Click here to be part of our growing community, and support Bais Menachem by becoming a member. Let your kids really enjoy Shabbat morning services, with their very own Service and Kiddush. This experience enriches the Shabbos experience of many young children.